America is in the grips of an opioid epidemic as more and more people become dependent on the substance. As of 2015, the country has around 2 million residents that are abusing opioid pain relievers. 2015 also saw the deaths of 20,101 people as a direct result of an opioid addiction. 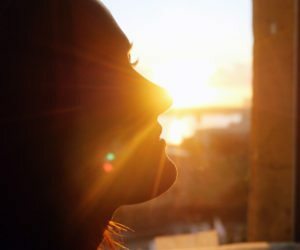 Through drug rehab Tampa, FL, addicts are able to rebuild their lives after the devastation that opioid abuse causes in the many areas of their life. Tampa opioid addiction treatment and similar treatment programs remain the best way to deal with an addiction, apart from abuse prevention. Opioids are one of the most successful drugs used in the management of chronic and severe pain. They include all of the pain relievers that you need a prescription from a doctor to buy. It is used regularly after surgery or in acute pain cases. However, it is a controlled substance due to highly addictive properties of opioids. As an opioid is abused, a person’s brain chemistry begins to change. The more the person abuses the drug, the less capable their brain becomes of producing serotonin and dopamine naturally. Eventually, the substance abuser becomes completely reliant on the drug to feel any sense of normality and happiness, and opioid addiction treatment becomes the main step forward. Through opioid treatment in Tampa, FL, the disease of addiction can be managed and beaten. At the opioid drug rehab centers in Tampa, detox programs are available for those who are looking for help through the withdrawal process – often the first step in recovery. This is a difficult time in recovery, but through opioid treatment in Tampa, FL, medications can be given to help reduce the symptoms, shorten the experience and counteract some of the symptoms. A proven method of treating opioid dependence is through methadone management plans and Suboxone treatment. Through these medications, a person is weaned off the drug over a period of time so that the withdrawal symptoms, especially cravings, can be dealt with effectively. Other medications can help to block the euphoric feelings that opioids give, which helps to stop relapse from occurring. When medication is coupled with therapy, the best results are often achieved. A recovering individual must change the way that they respond to situations and deal with their stress. Alternative coping skills and relapse prevention strategies are learned at the Tampa opioid addiction treatment centers in order to help the patient avoid relapse once they complete their treatment. Various alternative treatment methods can also be successful such as art therapy, biofeedback, nutrition therapy and SMART recovery. An evaluation of a patient through the 24-hour rehab center in Tampa, reveals what treatment or combination of treatments would best fit their individual needs. Opioid drug rehab centers in Tampa continue to adjust treatment plans to better treat the individual throughout the recovery process. Many recovering opioid addicts find the sober living environments beneficial. These places are usually privately owned houses run by the staff and residents. Housemates work together to help each other stay clean. This allows each person to slowly get back into a normal way of life.